Start in Simple Edit Mode; a great place to make basic edits and quickly finish your movie. Add titles, music, and video effects before uploading your masterpiece to the web. Enhance your movies with music. Import your own songs or record audio directly into the program. Animate text in your movies automatically with the Titles & Text tool. Or, customize your titles any way you want. 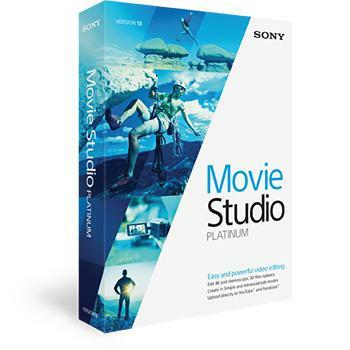 Burn movies directly from the timeline or author a DVD and Blu-ray Disc with scene selections and menus in the included DVD Architect Studio. When you’re finished making your movie, upload it directly to YouTube or Facebook from the Movie Studio application!